Building your dream home is a complex process. 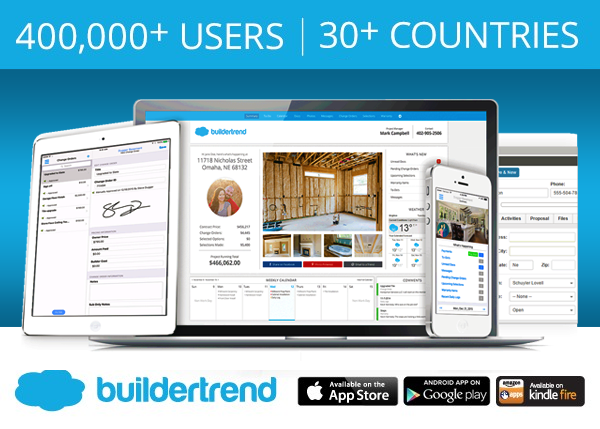 Shelter Associates keeps you in the loop not only with meetings and phone calls, but with our cloud-based project management software by Buildertrend. You can access your project at any time and on any device to upload files, share pictures, request change orders, collaborate on finishes, view schedules and more. Your project, organized! You just found a picture of the perfect cabinets? Great! Upload the picture and make a comment so we can discuss your options and track decisions! In fact, you can store all your files in our cloud making it easy to share and collaborate with us. We know you’re busy. We also know you’re anxious to see what’s going on! We’ll upload photos of your new home several times a week so you can see your home come to life stage by stage. You can also share your photos with your friends and family on your favorite social media sites! Looking forward to visiting the site when the windows are in or when the new granite arrives? Log in to check the schedule so you’ll know just when to plan on coming out to the site. We keep our schedules up to date because that’s how we communicate with our trade contractors, too!